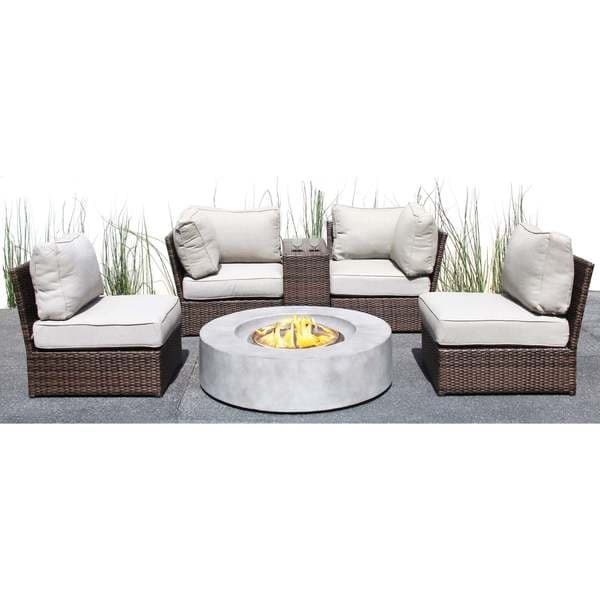 Gather friends and family around a crackling campfire with this contemporary fire pit and sectional set. This set includes a fire pit that operates with the touch of a button, making it easy to enjoy a festive fire anytime. "Does the gas tank hide inside the firepit?"